(Classical Pop Piano Solos). Each piece in The Amadeus Anthems is a pop-inspired tribute to the music of Mozart. 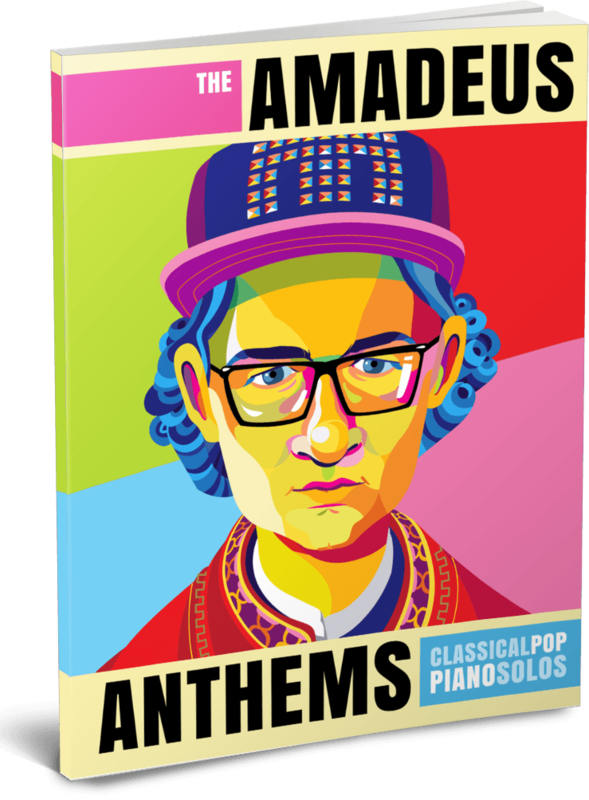 Whether you use the repertoire to ignite a passion for piano or as a jumpingoff point for exploring the classics, The Amadeus Anthems is the start of a revolution that will inspire the next generation of piano students. Early intermediate students will immediately fall in love with pop renditions of: *Sonata No. 16 In C Major *Eine Kleine Nachtmusik *Minuet In F Major *Rondo Alla Turca *The Magic Flute *Symphony No. 40 In G Minor and *Sonata No. 11 In A Major. That’s about to change! The Amadeus Anthems is the beginning of a revolution in teenage piano repertoire. It bridges the gap between today’s pop music and yesterday’s classical masterpieces. Each piece in The Amadeus Anthems is a pop-inspired tribute to the music of Mozart. Whether you use the repertoire to ignite a passion for piano or as a jumping-off point for exploring the classics, The Amadeus Anthems is the start of a movement that will inspire the next generation of piano students.